Frank Adler (Chris Evans) is a single man raising a child prodigy – his spirited young niece Mary (Mckenna Grace) in a coastal town in Florida. Frank’s plans for a normal school life for Mary are foiled when the seven-year-old’s mathematical abilities come to the attention of Frank’s formidable mother Evelyn (Lindsay Duncan) whose plans for her granddaughter threaten to separate Frank and Mary. KIDS FIRST! Film Critic Gerry O. comments, “Gifted is a story with not a lot of surprise elements, but it wins the audience over with its powerful statement, outstanding acting and stunning cinematography.” Imani B.G. adds, “This film is filled with life stories that I found myself relating to in certain aspects. The film is shot very well and has an amazing cast. 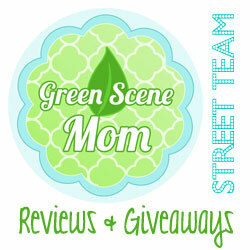 I found myself very emotional during certain scenes.” See their full reviews below. Gifted is a story with not a lot of surprise elements, but it wins the audience over with its powerful statement, outstanding acting and stunning cinematography. Mainly, Gifted has a very dramatic storyline. However, Gifted offers much more then that. Viewers also get a subplot of romance, friendship and strong family values as well as some comedy here and there to keep a dramatic movie light. The plot begins when Mary Adler (Mckenna Grace) starts first grade. She isn’t like the other kids in her class. Her teacher, Bonnie (Jenny Slate) soon learns that Mary turns out to be a genius in mathematics. She can easily do equations higher than high school level. Despite her clear giftedness, Mary’s uncle, Frank (Chris Evans) refuses to put Mary in a school for gifted children, trying to keep the girl’s life normal. Evelyn (Lindsay Duncan), Mary’s grandmother insists on making her do mathematics around the clock and training her to be a math prodigy. What follows is a custody battle between the two for Mary. My favorite scene really stands out due to remarkable lighting and camera work. The scene really doesn’t contribute to the plot, but the cinematography makes it one of the most excellent in the film. The scene shows Mary riding on Frank’s shoulders. Behind them, a giant sunset completely fills the sky. The lighting from the setting sun comes out stunningly dazzling. Even though it doesn’t add to the complexity of the story, the scene is very impressive and demonstrates the closeness of the uncle and his niece. One of Gifted’s weak points waters down to the story. Even though the film is unique from other stories about genius kids, by focusing on the family values and relationships instead of Mary’s exceptional mathematical skills, it still comes out very predictable and rather simple. The main conflict never really feels like a major issue but rather, just a side story. Despite those issues, Gifted still entertains through the acting. All the actors deliver outstanding performances. Mckenna Grace, despite being only 10-years-old, completely steals the show. Never does the acting feel forced and the actors seem to authentically connect with their characters and have a true bond on-screen. There are a few adult references in the film, but nothing to worry about. 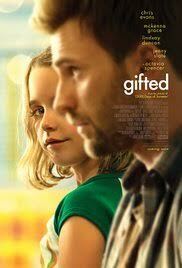 I recommend this for ages 8 to 18 and give it 4 out of 5 stars because, although the story needs work, the acting and cinematography make Gifted a very entertaining and memorable film. This opens in theaters April 14 so, be sure to check it out. My overall thoughts about Gifted are very positive. This film is filled with life stories that I found myself relating to in certain aspects. The film is shot very well and has an amazing cast. I found myself very emotional during certain scenes. I really enjoyed watching this film with my family, and I believe that other families will enjoy it as well. Frank Adler (Chris Evans) is a single man raising a young child prodigy who is also his niece, Mary Adler (Mckenna Grace). The two live in a coastal town in Florida with their next door neighbor and friend Roberta Taylor (Octavia Spencer). Frank plans for Mary to have a normal school life that conflicts with her mathematical ability. His mother, Evelyn (Lindsay Duncan), disagrees with Frank’s plans and wants to make sure Mary is known throughout history for her mathematical skills. The relationship between Chris Evans and Mckenna Grace is one of my favorite aspects of this film. The two connect very well on and off screen, which makes the movie come to life. They both represent what a family relationship is like. For instance, Mary is inseparable from Frank at all times and just wants to be around him. I believe that families watching this movie will feel a sense of happiness when learning about their relationship. I also really enjoyed the background music playing throughout the film. It adds a special mood and vibe to the film and made it pleasant to listen to. The message of Gifted is that family is important and families need to pay attention to the young child’s needs. Often, parents push their kids and that can have a negative effect on their relationship and add stress to their child’s life. Evelyn pushed her daughter, Diane, over the top, which may have been the cause of her tragic suicide. Frank, of course, does not want that to happen to his niece and believes that Diane does not want that for the child either. Thus, a fight for custody between his mother and Frank ensues. To expand on my point, the film makes the point that children should have a voice and must be heard when dealing with their future because it can affect them in either a positive or negative way in the end. Gifted is rated PG-13 and I recommend it for the ages 13 and up. I definitely encourage parents to see this with their young adolescents because they may be able to learn from this and it may strengthen their relationships as well. I give this film 5 out of 5 stars because of its emotional and memorable storyline, the outstanding cast and the wonderful scenes. You can see this film in theaters now so go check it out.